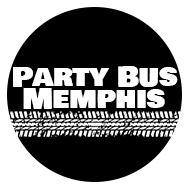 The pricing for a Party Bus Memphis trip is very affordable, and we do all that we can to reduce the costs even lower for you whenever possible. We're not able to list prices on our website right now because they change so frequently due to the changing fuel prices and other factors, but we'd be happy to provide you with an instant price quote either over the phone or via email. 4. and the cities you'd like to visit during your trip. It's really that easy to get a price quote via email or over the phone, and all it takes is a quick credit card deposit to lock down the date of your choice. We also accept cash, checks, and PayPal for your convenience. If you need to save money when renting a bus from us, we recommend booking the bus on weekdays whenever possible. You'll save money and beat the traffic and crowds too! Of course even if a weekend is essential for you, it will be our chauffeurs who have to deal with the traffic anyway, not you! And that's just one of our many perks. To talk to us about pricing and more, please give us a call or send us an email. Our contact info is at the top of this page.